Each year, we hire several international staff members through international placement agencies, like Camp Counselors USA (CCUSA), Camp America, Camp Leaders, and Wild Packs. You have the option of applying to one of those agencies or applying directly with us, using the application link on our website. Email staff@goldarrowcamp.com if you have any questions about the application process. Cupcake is originally from Leeds. 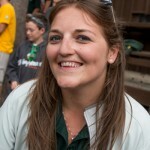 She just completed her fifth year at Gold Arrow Camp. She began working as a Rocks and ropes Activity Counselor, spent her next summer as a Group Counselor, and has been a Head Counselor for the last three years. Oppo is currently studying Manufacturing Engineering & Management at the University of Nottingham. 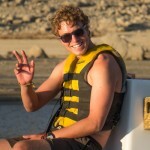 Oppo spent his first summer at Gold Arrow Camp in 2015 working as a Sailing Activity Counselor where he lived in a cabin with the oldest boys in camp. As an international applicant, what questions did you have? Oppo: I was unsure of the levels of responsibility that a counselor would have and the support structures available in the case of any issues (Head Counselors, Activity Heads etc.). I also wasn’t entirely sure about how the different counselor roles crossed over – how much time do you spend with the cabin? How much time do you spend on activity? GC for the day? thought I knew what to expect. I was so wrong! When I arrived in the airport, I was hungry and went to a food outlet and ordered chilli chips. Expecting chilli flakes on fries, I was very confused to receive meaty chilli and beans on tortilla chips. Luckily there was a big group of us at the airport and everyone was super friendly (the fact I was offering up my food may have helped with this). I think the biggest questions I ever have are always about food and stores, but everyone is very willing to help and chat with you. What organization did you go through to come to camp? Cupcake: I came through CCUSA. They talk you through the flight and customs process, which is the hardest part about getting to camp, I would argue. Just knowing what to expect when traveling is super helpful. What was the process of getting a visa like? Oppo: It was very simple, well organized and I was surprised at how quickly I managed to get my visa approved at the Embassy visit. Just remember to bring all of the documents as mentioned by Camp America! Cupcake: The visa process is SO FUN! I actually really enjoyed it. Once you go through all the long forms online (the people at CCUSA are good at helping make these forms fool-proof for you), you go to the US Embassy nearest you. They are big fancy buildings with loads of security. The best part is waiting for your number to be called. If you sit and look around, you’re usually surrounded by lots of other people applying to camp, but sometimes there are other people there. Find a friend and have a conversation, or pick a person and make up their life story. It’s a great way to pass the time and make friends with other people who are applying to camps, just like you. You may even run into someone else working at Gold Arrow Camp! What were your biggest concerns before coming to camp? Oppo: I was anxious about adjusting to the new environment and getting to know all of the staff – this was nothing to worry about because everyone at camp was so friendly and inclusive that I felt right at home as soon as I arrived. 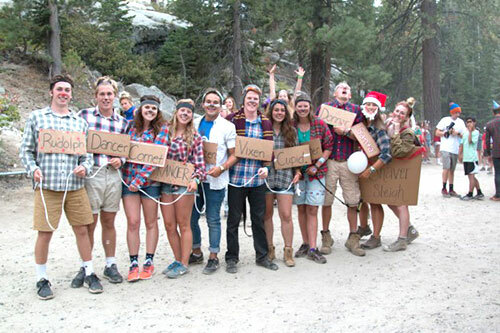 As a first year, I was also slightly concerned about the first time I was in charge of a cabin – but you are usually placed with a returning counselor who helps guide you through what to do. Cupcake: My biggest concern was if there was going to be enough coffee and ketchup to get me through the summer. Not at the same time, obviously. Luckily there was, and I think there always will be. I was also a little bit worried that I would miss home. I did, but never for long. There is always so much going on at camp that you are distracted, and the people you meet are INCREDIBLE. You’ll be fine. How would you describe your camp experience? Oppo: Camp was the greatest experience I’ve ever had. All summer long, I was surrounded by incredible people (campers and staff), I learned new skills and, most of all, I felt like I made a difference. Working at camp provided me with such immense feelings of joy and pride because I got to see not only my campers grow and overcome their fears, but I also felt myself growing and becoming more confident. Every single person at camp is incredibly positive, and I never once felt uncomfortable or unwelcome – there’s no place quite like it. Cupcake: It has honestly changed my life. I have been lucky enough to have five summers of a lifetime at camp, met the most inspiring, kind and genuine friends, as well as making memories I will treasure for the rest of my life. My outlook on the world has changed because of my experiences at camp; the people I have met and the amazing campers keep you laughing every minute you are with them. 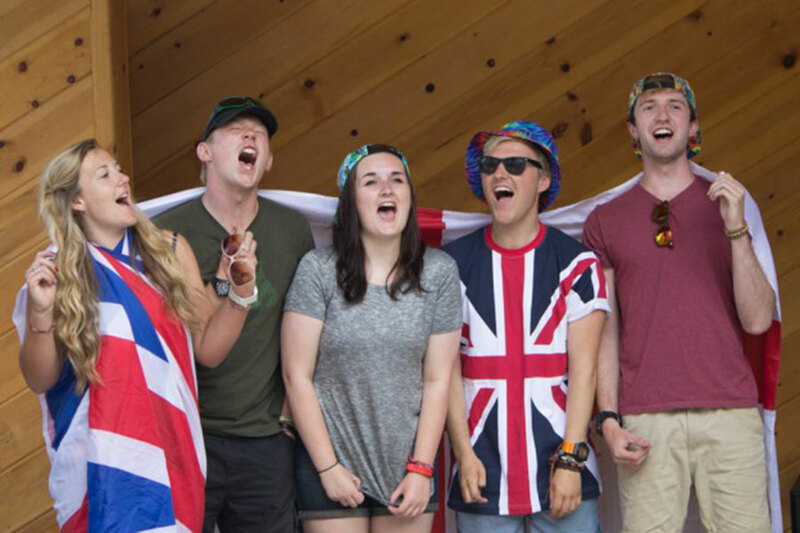 What advice would you give an international applicant coming to camp for the first time? Oppo: Don’t be nervous, be excited – this summer will change your life! One key thing I would suggest is to really make use of Tweek (training week) to get to know everyone on the staff (not just other counselors). It will really help you feel comfortable, knowing that you are surrounded by so many talented, friendly and positive individuals who are in the same boat as you. It also gives you the opportunity to play the international card and really begin to form long lasting friendships with people from all over the world. Another key bit of advice is to ask for help. If you don’t know how to do something or merely just want a second opinion – ask! There’s a great support structure for all members of staff at camp who want to ensure you are happy and comfortable so that you undertake your job as well as you can. 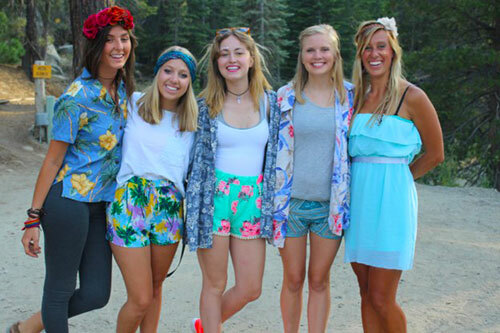 You can talk to anyone at camp: your co-counselor, your head counselor or even the directors. Everyone is there to help. Finally, the kids’ needs must come before yours. Although it is an extremely fun job, you can’t lose sight of the fact that you are there to look after and care for the campers. Everyone is expected to need a break once in a while but you must always put the enjoyment and happiness of the children before yours. It is important to keep that in mind. Cupcake: The one piece of advice I would give to you is basic: what you put into the role at camp is what you get out of it. If you want to have the time of your life and the best summer ever, put that much energy and enthusiasm into the job. Don’t over-pack – you won’t need it, and if you do, there is always Target or Wal-Mart. Also, make sure your friends and family have your address. The best thing ever is getting mail from home, silly letters from your friends or weird postcards from your parents on their summer holidays. Any closing tips or remarks? Oppo: Make the most of every single experience you can and really treasure the memories. You’re in an extremely unique place surrounded by amazing people and beautiful scenery. Make sure you do everything you can to make it the best two weeks of the summer for the campers. It is something they will never forget, and you really have such a great opportunity to impact the way these children develop and grow – make it count! Cupcake: Camp is an amazing experience, whether you do it for one summer, or countless summers. Just remember to make the most of it, use the time you have after camp to travel. The visa gives you a 30-day travel period after you finish work. Do not book your flight straight away because you will meet people that will also be traveling, and you will make plans at camp. You don’t travel 3000 miles not to explore a little! If you would like more information about how to apply as an international staff member, please email staff@goldarrowcamp.com.